Commendium CEO, Richard Walters, has been back in China surveying the world’s largest cave chambers in 3D. Using the latest LiDAR techniques he and his team have been revealing the true nature of some recently discovered huge caves in Guangxi and Guizhou provinces. 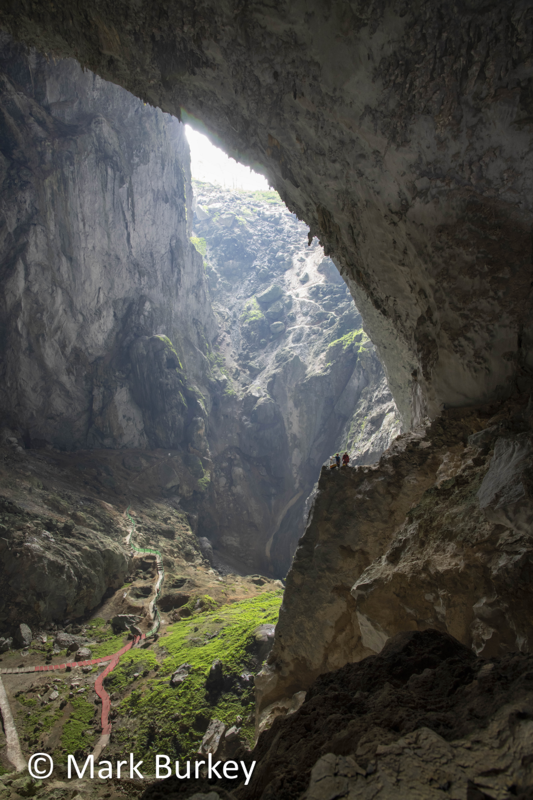 His team resurveyed the world’s largest cave chamber, The Miao Room and found it to be even larger than previously believed. At almost 11 million cubic metres it is about ten times the size of Wembley stadium. Of more note, was the survey of a seemingly small hole, called Maoqidong, situated about 10m from an important road through the mountains near a town called Leye. That there was a huge cave below was clear, as warm damp air condenses as it leaves the hole leaving a signature column of steam rising from the ground. The survey confirmed it was an immense 260m to the floor of the cave. A further 200m down a steep slope to an underground river showed, for the first time, the chamber to be an immense 6.2 million cubic metres in volume. Alarmingly, the road was found to be a mere 4m from this underground cavity. Richard produced a detailed report for the local authorities to highlight the road’s precarious position above the invisible void below. This giant sinkhole could have caused major problems for local infrastructure. The mapping technique involved 3D laser scanning from selected stations around the cave and on the surface near entrances. Then on return to the base camp, stitching all these scans together using specialist software. Commendium used its own methods and tools to reduce errant points and generate clean point clouds from which geo-located 3D models were produced. To find out more about how we do this, please take a look at our LiDAR scanning services or Contact us.